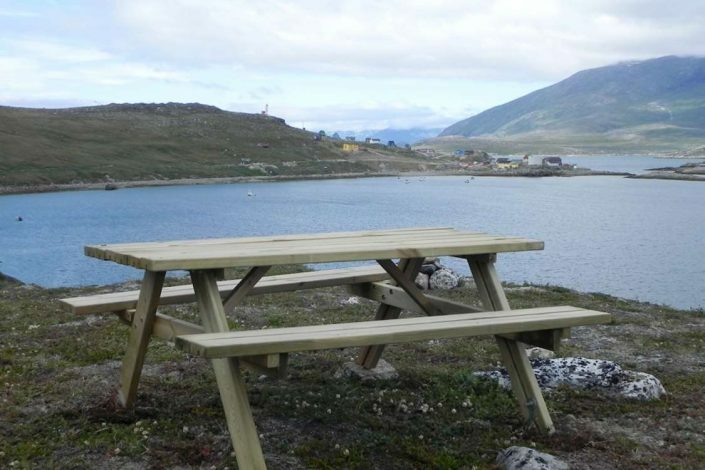 The company is owned by Mr. and Mrs. Krohn who have been sailing the Godthåb fjord since 1972. They have decades of experience and an intimate knowledge of the local environment. Boat trips, hiking trips and fishing trips as well as caribou, grouse and hare hunts all feature on the agenda. The company provides sea fishing rods on board its vessel “Duen” and general casting rods for use in lakes and rivers. Asimut Tours & Camp can offer fishing trips on land and at sea. The company provides sea fishing rods on board its vessel “Duen” and general casting rods for use in lakes and rivers. 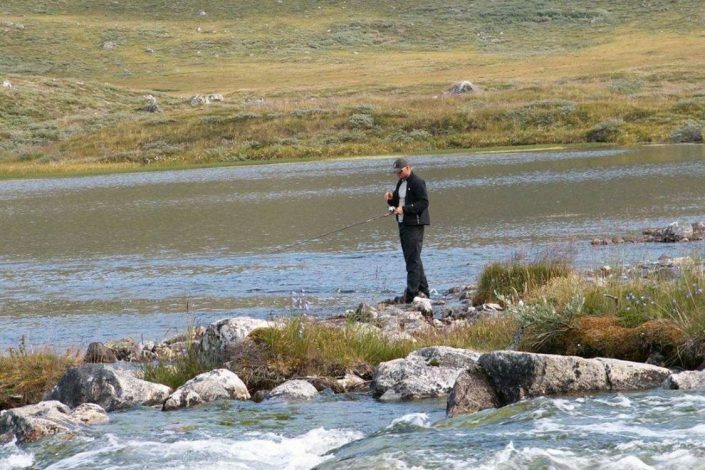 You can plan your fishing trip with the staff at Asimut to ensure that what the company has to offer matches what you want. Catch your own fish for lunch and dinner. Depending on the season, you can catch anything from cod, redfish, flatfish, trout and salmon. The company offers plenty of opportunities for exploring the ice cap and its glaciers. Plan your trip with Asimut Tours & Camp. 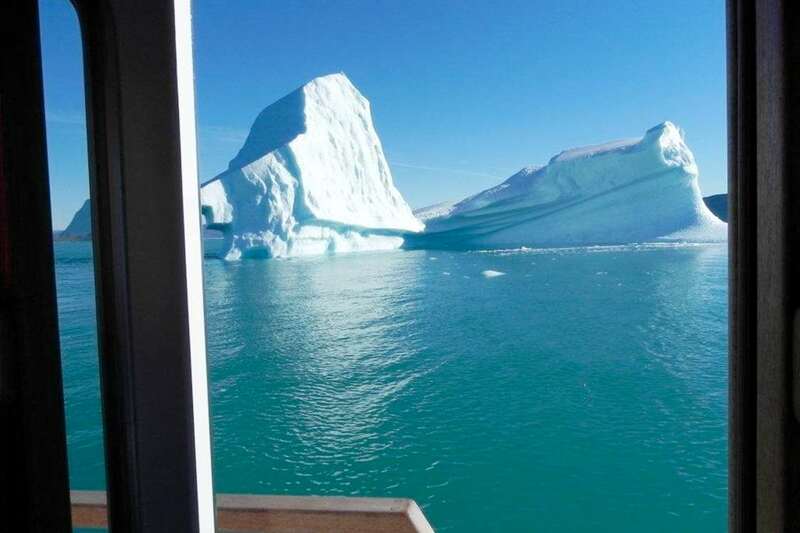 Greenland is famous for its icebergs and the ice cap. They are virtually synonymous with the country where almost 85 percent of the landmass is covered in thick ice. The ice cap is a sheet of ice of unimaginable scale. It may appear to be fixed and rigid, but its creaks and groans reveal a world of movement and change. Plan your trip with Asimut Tours & Camp. Make sure you go camping to get the best out of your trip. The only things you need to bring are your personal belongings and food. Come, and enjoy the silence and the magnificent surroundings. The only things you need to bring are your personal belongings and food. Come, and enjoy the silence and the magnificent surroundings. There is a wealth of opportunities for activities. Take a tour to the nearby ice fiord or hike to the river /lakes full of both Arctic char and salmon. Catch your dinner and prepare it in the cabin or over the grill in the evening. Visit the cosy little settlement of Kapisillit, which has a small shop and a community house, where you, for a small fee, can get a lovely hot shower. 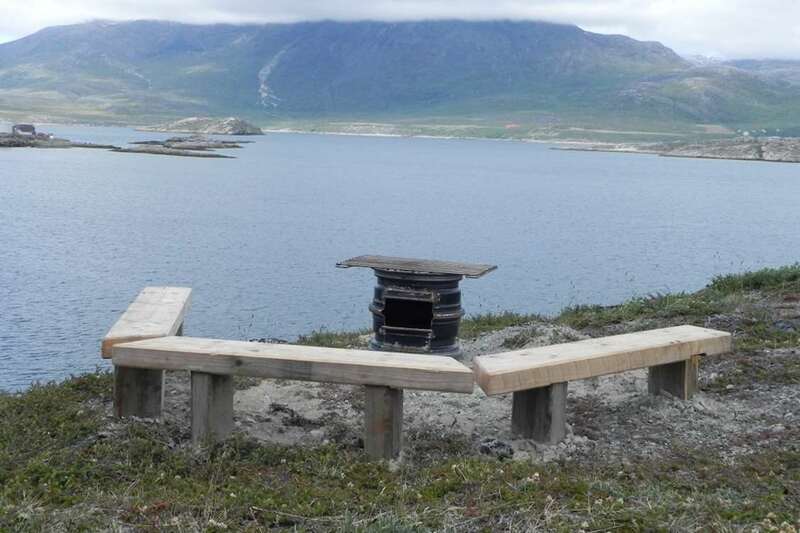 When darkness descends around the first of August there are ample opportunities to see the fantastic Aurora Borealis, the Northern Lights, from the porch of the cabin. 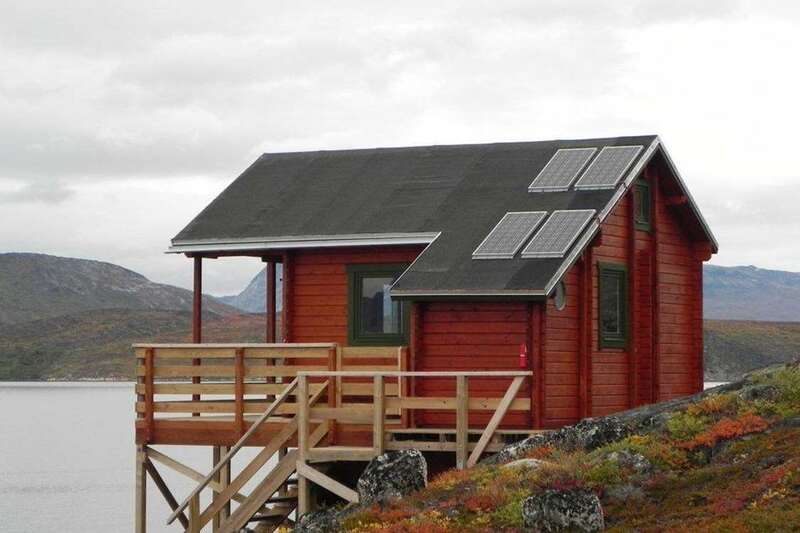 The cabin is large, 28 square meters with a six square meter bed loft, a huge porch and a fabulous view of the fiord. The facilities at the cabin run exclusively on green energy. The cabin has room for six occupants. A portable baby bed is also available. The cabin is also equipped with comforters, pillows, bed linen, towels, dishtowels and misc. items. 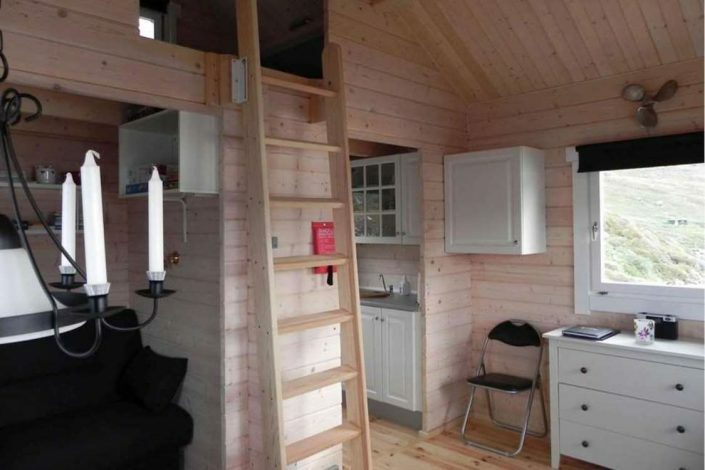 The cabin is equipped with a kitchen and kitchen appliances. 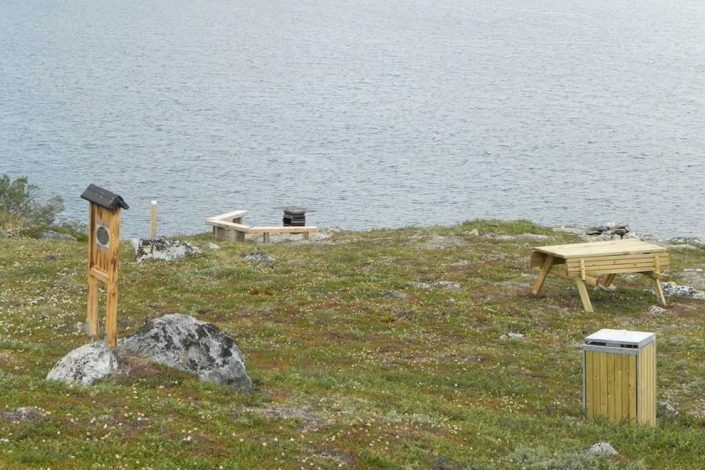 The cabin is equipped with a restroom containing a flush toilet and a wash basin. The cabin is heated with a heat blower. The cabin has a fresh water tank. 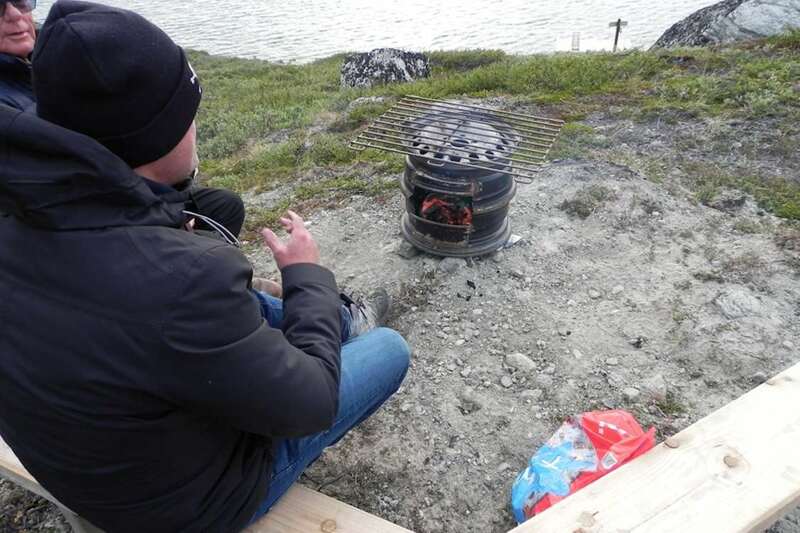 There is an outdoor table grill by the cabin. A cottage tent, with a separate sleeping compartment, inflatable air mattresses for four people, and a sitting room area with a table and chairs, is available for rent Pots and pans, utensils, cutlery, sleeping bags and sheets are also available for rent. Local transportation with a dinghy.